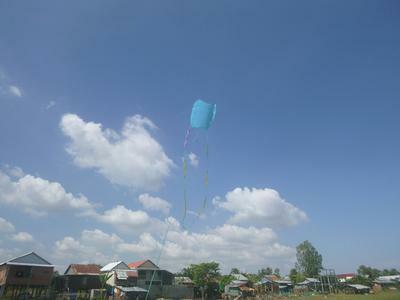 On my home the other day I could see a group of young guys out flying their homemade kites on the field behind my place so I had to grab a kite and join them. I got the 2 skewer sled I'd finished and not flown yet and headed out. The best I could get was about 2 seconds before it slammed shut and headed for the ground yet it took off out of my hands so fast, wanting to get in the air. It was a gusty day but not overly strong wind. So I grabbed another mbk kite and put the sled aside for now. After speaking to Tim about some possible fixes I extended the bridle to double length and put a couple of tails on it. When I mentioned it was very soft, light plastic he suggested I may need to replace it with something a bit stiffer and heavier. 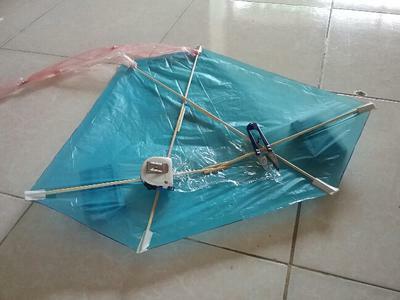 I was thinking that sticky tape is used to stiffen and strengthen the edges of kites so maybe I could try just adding some extra first. I laid the kite flat on the floor and put tape right the way across from tow point to tow point and more across 1 third of the way down from there and also another 1 third up from the bottom. This seemed to stiffen it a bit. 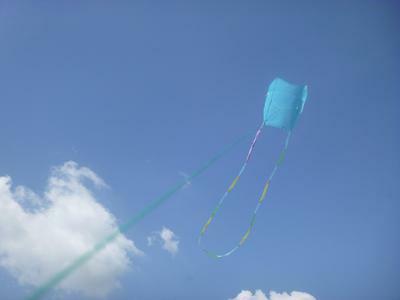 Yesterday we had a surprisingly steady breeze that wasn't overly strong so I thought if its going to fly this should be the day. This time I didn't get even half the bridle length of line out, tails still sitting on the ground, and it was holding air perfectly. I had about 15 minutes flying with no sign of collapse at all. It mainly sat about 30° up but on one occasion it went right overhead in some very lifty air. I thought it could collapse now when this air drops, but no, it behaved beautifully and just slowly sunk back down to around 30° again. Very happy with it now as it gives me a kite I can roll up and put in the saddlebags of my bicycle to fly at a few other places around town.